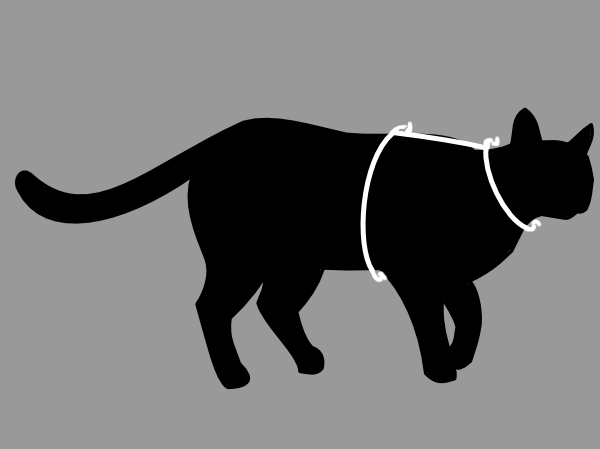 To measure your cat, use a flexible measuring tape to measure in these two places: around the neck, and just behind the front legs (or the girth), as illustrated in the image to the right. The measuring tape should be snug against your cat’s body, but you don’t want to make it too tight and squeeze your cat. Once you have your cat’s measurements, find what size harness your cat would wear with our size chart below.